A biologist in The College of Arts and Sciences has determined that, during reproduction, a male animal can be a lover, a fighter, or both. 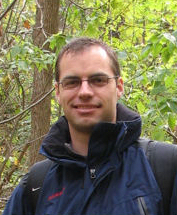 Stefan Lüpold, a research assistant professor specializing in behavioral ecology and sexual selection in animals, has been researching the matter with John L. Fitzpatrick, a lecturer at the University of Manchester (U.K.), and with Joseph L. Tomkins and Leigh W. Simmons, professors at the University of Western Australia. Lüpold and his team studied more than 300 species of mammals, birds, fish, insects and parasitic worms. They found that when males had weapons large enough to ward off rivals, their mates wouldn’t cheat on them. Hence, testes size was less important. This kind of behavior has evolutionary consequences, Lüpold says. But that’s not all, Lüpold says. His team’s research confirms that sacrificing testes for weaponry makes little sense when ejaculates from two or more males overlap in the reproductive tract and compete for fertilization. This phenomenon usually causes males to invest in both weapons and testes. “By introducing male-male competition into the equation, we can explain the oftentimes inconsistent direction of the relationship between sexual traits that we find among different studies,” Fitzpatrick says. Species with evolved male weaponry include the red deer (antlers), dung beetles (horns), the common pheasant (spurs) and various types of primates (canine teeth). Fitzpatrick adds that while pheasants, minnows and bush-crickets have large weapons and testes, other organisms, such as seals, walruses and certain kinds of worms, have evolved larger weapons at the expense of the size of their testes.